Dipentaerythritol used to produce polyether, polyester, polyurethane, alkyd resin and photosensitive resin film. Appearance:Di-penta is a white, odourless and crystalline powder. It is no posion to animal, no stimulates to skin, no pollution to environment. 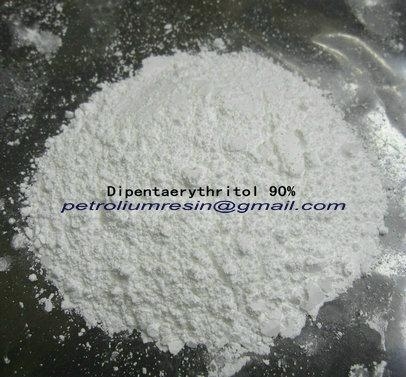 Di-penta is slightly soluble in water, but little soluble in most organic solvent. It can react with organic material and turn into ester. And its hydroxyl value is between 38-40. Application:Di-penta, as an important fine-chemical intermediate, it is mainly used in the coating industry, polyether, alkyd resin and photosensitive resin films etc. Its low aliphtic ester is used as PVC plasticizer in hi-temp insulating material. Its high aliphtic ester is used in aviation lubricant.